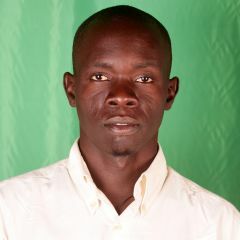 I am a final year student of Bachelor Degree of Arts with Education, majoring in Literature in English of Kyambogo University. I am also working in Radio Wa 89.8 FM as programme Producer and Presenter. I have been in the media since May 2001. I have passion and inspiration for theatre arts, digital technology and community journalism. I am currently a founding Chairman of the performing arts and media production initiative Theatre Technology House. I am known for initiating and running popular radio drama programmes on the local FM Radios here in Lira and Lango region; including the current Rising Voices Micro Grant Funded Common Community, Valley Community on Radio Wa, Forest Village a series on environmental protection and tree planting, Unity Theatre on social and family issues, and the Empty Court on energy saving and agro forestry among others.